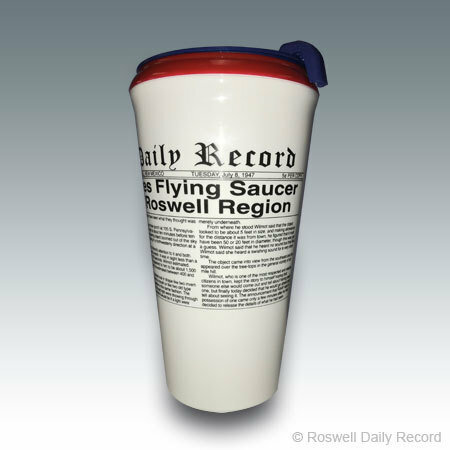 Roswell Daily Record Thermal Cups! This thermal cup features double wall construction for insulation of hot and cold liquids, which helps reduce condensation and eliminate the need for coasters. Features the Roswell Daily Record report of RAF captures flying saucer. Great conversation starter!